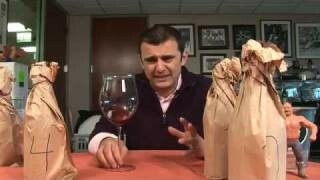 Gary Vaynerchuk blind tastes 3 Pinot Noir wines from 3 different continents. 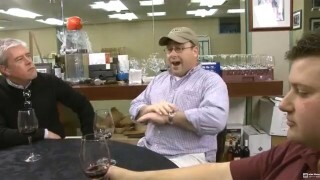 Great show – amazing to watch just how accurate GV can be with these blind tastings. The guy is a genius. was extremely concentrated and intense, I found it to be a bit closed, astringent, and one-dimensional for a 93pt Parker wine. I UNDERSTAND that the ’05 vintage should not be touched for a decade and needs that time to express itself, but from the RP tasting notes (which I always value greater than the # score) I expected more flavor and opulence. Bottle variation? Perhaps. TimVEe? Absolutely. When tasted, that rating seemed way too generous, but with more time I’m sure my other bottle of this wine will show its true colors and earn that great review. QOTD: 2001 Castello Paneretta Chianti Riserva – this was 93 pt WS & 92 GV wine which I thought to be generally awful. I bought a case, open 8 bottles one of which was a 90 pt wine other 7 were 75 pts at max. Sold the other 4 bottles on winebid. We are aware of the problem and the guys at Vaynermedia are working on it. conn valley reserve cab 2006. 94 rp? i really dont get it. thought it was too big. alcohol came through way to much for me. i would have given it an 84 tops. I had no idea RP is co-owner of Beau Freres – yes really good Pinot as is Roar and others you mentioned. OK.. I take it back. Thx for info! QOTD: Gotta be sherry, especially the dry kinds. I LOVE them but almost never find anyone in my immediate social circle who agrees. I still have a bottle left of the 2006…good to know it’s aging well! Brown bags lighting it up this week FTW! Difficulty with Mt. Difficulty, LOL. QOTD: Haven’t been too far off lately with what I’ve tried…at most a few points. 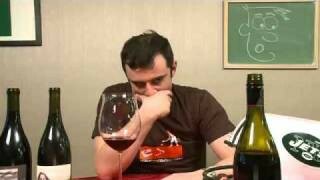 I had a couple Italian-based Merlots last year that were pretty off, like 5-8 points. QOTD: 2006 The Colonial Estate Grenache Single Vineyard Old Vine Alexander Laing. Everyone scored greater then 90 and I thought was in low 80’s. Very disappointed – but I keep trying Australia to find the jewel – nothing yet but over oaked, over extracted and over ripe wine. Brown bags are bringing the thunder this week. 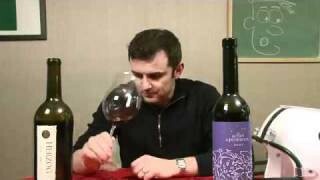 QOTD: 2006 Plumpjack Cabernet really fell flat for me. Wasn’t terrible, but didn’t find it anywhere near worth the price. 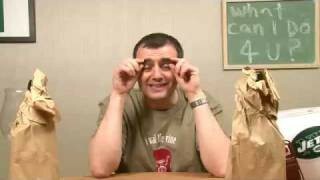 Lovin the brown bags Gary. QOTD: I bought a Cote du Rhone at Costco for 16 bones that Wine Spectator rated 91. It sucked big time. unhappy experience with young dominus.temperature controlled cellar in dallas with vintages back to the early 90’s.may give an older vintage a try again at christmas. QOTD: The 2003 Valderiz RdD WL had on sale a while back. Scored 81 points, felt it was completely out of balance and really disliked the short, sour finish. 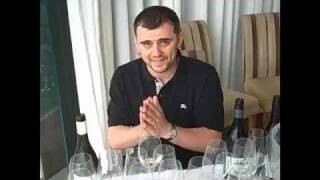 Incidentally when I see something like what happened with the Mount Difficulty on the show I always wonder about bottle variation and what would happen if Gary tasted from another bottle after the show. blue, isn’t 81 a pretty dang bad score? That’s about what I’d expect from an 81 point wine. did you mean it was scored 91? 81 is almost venturing into the 70’s land. QOTD: Truthfully, when I rate a critically rated wine even in a blind tasting, I have never disagreed that much – maybe a 5-6 points at most. 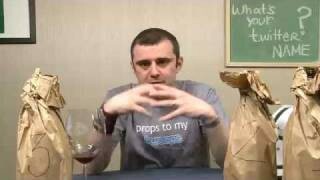 Once I ordered some wine from WineLib based on Gray’s review (he gave it a 92) and I opened a bottle and it was horrible. However, I tried another bottle, and that was fine so I guess it was just a bad bottle. QOTD: Cloudy Bay Pinot Noir 2007 did not do it for me. But everyone I know thinks it`s amazing..
That seems way old for cali cab. I would start opening them yesterday! Vaynermedia? Aren’t they busy trying to sell Pepsi to young kids? Loved the episode. I would say most people who are offended by your reviews are not getting the show. While 71 pts is a disastrously low score, we understand that the Mt. Difficulty did not hit the right notes for your palate and in comparison to the other wines that you were tasting, it was made worse. Taken out of context things can get ugly but the Vayniacs know what’s up. GARY, KEEP ON KEEPIN’ ON! 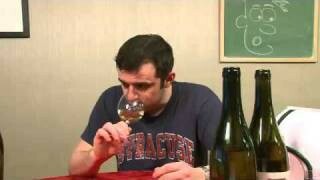 QOTD: Rombauer Chardonnay, I think the wine is okay but not nearly as great as most make it out to be. make sure to come back to that tasting note in a decade. Seeing the evolution is priceless and an exciting process in wine. Sherry is dy-no-MITE! You need to find a new social circle. If Bluedevil99 is a Duke grad, that would explain it. All they study is how to put blue paint on their face and look stupid on national TV. Loved this episode! 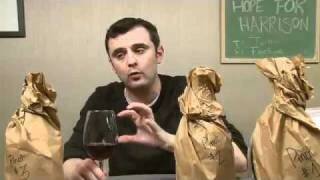 My view on Pinot is that after Sideways everybody fell in love with it. Recently people have been trying to expand their pallet and have moved on to syrah and other hearty varietals. Something tells me it will only be a matter of time before we realize why we fell in love with Pinot in the first place (more than just a movie based fad). Hands down some of the most consistently tasty, well balanced wines are Pinots. I believe the love afair is far from over in America… maybe just going through a “let’s see other people” stage. QOTD: I have been getting 1.5 liters of Inglenook Chablis for like $6. To be honest, I think it is one of the best whites I have ever tasted! Just kidding Bluedevil99. I’m a UNC grad and we just don’t like Dookies this time of year. But I do understand how much you guys love your home games in Hansbrough Indoor Stadium. QOTD: Not a wine, but a varietal. 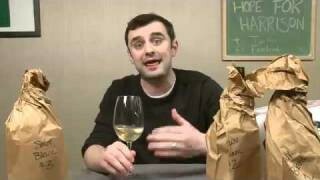 I’ve tried mediocre and supposedly good Chardonnays. Quite a few of them over the years. No matter what, I just cannot make myself like any of them very much. QOTD: can’t think of one except for the one you said, I don’t see how KJ Chard is so popular. It’s terrible. My big huh? wine is Chateau Latour. I recently had the 1998 and it tasted like almost nothing. There was definitely no bottle flaws, it was perfect as a beverage, but had no special qualities whatsoever. I felt like I was drinking cranberry juice and water after smoking a cigar. I understand it was not a great vintage but how can something that non descript be considered excellent in any way? 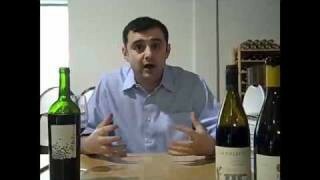 My only other first growth experience was 1995 Chateau Margaux which got a 100 point score from Spectator. Again, nothing special whatsoever, I barely squeezed out some tropical notes from it. Weird to say, but so far, First Growths are a bust. A couple of wines come to mind with respect to your QOTD, but I think I often find myself at odds with one or more of the prominent critics, which is fine with me. I’ll still read them and remain unaltered by them. A Stag’s Leap Wine Cellars Stag’s Leap Vineyard Cabernet forget the vintage.. RP scored something like 74.. and it was a phenomenal wine. Ditto for a 2001 Andrus which was similarly scored in the 70s… they were beautiful bordeaux-like wines, both of them. Alternatively, Kosta Browne comes into the light. To me, they are all in the vicinity of 87/88 points. The examples I’ve had, from different vintages and stored fine, were over-extracted fruit bombs with little character. QOTD: Recently had a lineup of Loring Wine Company pinots that all had nice critical scores. I just didn’t get them, and found them too ripe and too big. They almost came across as sweet in some instances. 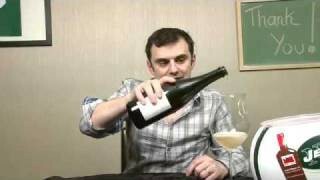 QOTD: TO REPEAT MY LAST COMMENT, RECENTLY HAD KENDALL-J S.BLANC VINTNERS RESERVE & REALLY LIKED IT. WHEN I FIRST OPENED THE BOTTLE IT WAS SENSATIONAL BUT SEEMED TO GO A BIT DOWNHILL FROM THERE. KEEN TO TRY THE K-J CHARD. QOTD: KJ Chard definitely is a fav with many. I keep trying to “EXPAND this person’s palate with all types of Chards and other whites, but they always flock back to their old standby. I agree. Used to love his wines, but had a bottle over the past year or two and it was a little over the top for a pinot, almost port-like, but one-dimensional. I did detect some mushroomy, soy aspects but it didn’t evolve with decanting and I think even with some age on it, it probably wouldn’t change much. “Tom Brady Pass!” That stuff is what makes the show real.. Love it GV. Well YOU KNOW WHAT’s DISSAPOINTING?!! I no longer get emails from you letting me know there is a show. So then I end up missing shows untill I find them sometimes a week later…That sort of brings new meaning to the phrase “Crush it” Ya Think!? nice to see the Oregon pinot on par with a red Burgundy. QOTD: as far as wine critics go, I’ve worked behind the scenes, so I know to take their scores with a grain of salt. They are tasting 50 wines at a time, which is a much different experience than drinking 1 wine at a time. I once heard a winemaker describe the review as a snapshot of a wine. It shows you something, but it is different then meeting the wine in person. That said, a couple wines came to mind. I had the Longshadows Pirouette next to a couple red blends from Washington that were half the price, and it was the worst wine of the bunch. Like wine & oak flavored cough syrup. Also, the Wine Spectator put the A to Z pinot noir in their top-100 this year. As someone who lives in Oregon, I don’t know if that wine would make my list of top-100 Oregon pinots. U be careful now, don’t dizz the Danes! He he. Just got back from Barcelona.